In his 30-year legal career, attorney David Smith has learned that when people are seriously injured, or have lost a family member because of someone's negligence or carelessness, they want their attorney to possess three essential qualities: Experience, Compassion, and Integrity, as well as a track record of proven results in tough cases in the courtroom. David's experience spans decades of providing aggressive and effective advocacy for seriously injured plaintiffs throughout California and all 50 states. In recognition of his many significant jury verdicts and settlements in a wide range of serious injury cases, David Smith has been selected for membership in ABOTA, the American Board of Trial Advocacy. Membership in ABOTA is an honor which is granted only to those advocates and trial attorneys who are recognized by their peers in the legal community to possess the highest level of trial advocacy skills and professional ethics. Traumatic brain injury, spinal cord injury, paralysis, burns, medical malpractice, disability discrimination, birth injuries, nursing home and elder abuse, and medication error cases are among the most complex and challenging types of personal injury cases for an attorney to effectively litigate or take to jury trial. The trial attorney must master the complex medical issues, communicate to the jury the catastrophic effect of serious injuries upon human lives, and possess the ability to credibly establish the financial loss and damages, emotional trauma, and pain and suffering experienced by accident victims. David is widely recognized and respected for his hard-earned medical and pharmaceutical knowledge and experience. He has been a frequent lecturer to other attorneys, as well as to health care providers, on a wide range of medical topics and the handling of complex medical issues. This experience provides him with a keen understanding of the causes as well as the long term consequences of catastrophic physical injuries. 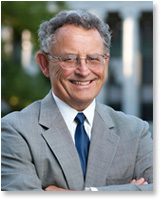 He has lectured on a wide range of medical-legal issues including the cross examination of medical expert witnesses, the effective presentation of medical evidence at trial, medication and drug errors, the trial of medical and pharmacy malpractice cases, internet medical research, and medical technology, including the obtaining and effective use of electronic medical records (EMR). Most importantly, David puts his experience and expansive medical knowledge to work for each and every one of his clients to insure that they receive the maximum compensation possible for their injuries and losses. B.A. 1970 University of San Francisco, B.A. © Copyright Smith Zitano Law Firm. All rights reserved.